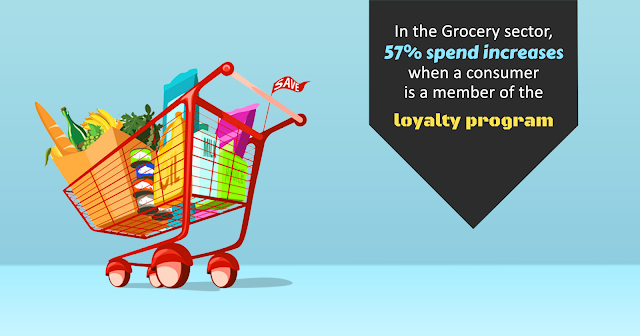 Supermarts can compete effectively by offering loyalty programs, in addition to providing superior customer service. Therefore, offering loyalty programs can become a very powerful tool to retain customers once grocery stores find the best ways to reward them. Supermarkets should remember that loyalty programs are not limited to bringing customers in, but also improving relationships with loyal customers, inspiring them to buy more. Intuitive and efficient loyalty programs, such as Winggz, can encourage loyal customers to spend more while attracting new customers with exciting and valuable rewards and can even bring back profitable customers that have defected to other brands through these rewards. Winggz can provide indispensable insights into customers’ spending habits, and this information can be used to fine-tune your marketing strategy. This is the reason why the most successful loyalty programs tend to focus on relationship management with customers. Well-executed Loyalty Programs are much more than just bringing customers your way! To find out how Winggz can help your business, contact today @ Winggz.